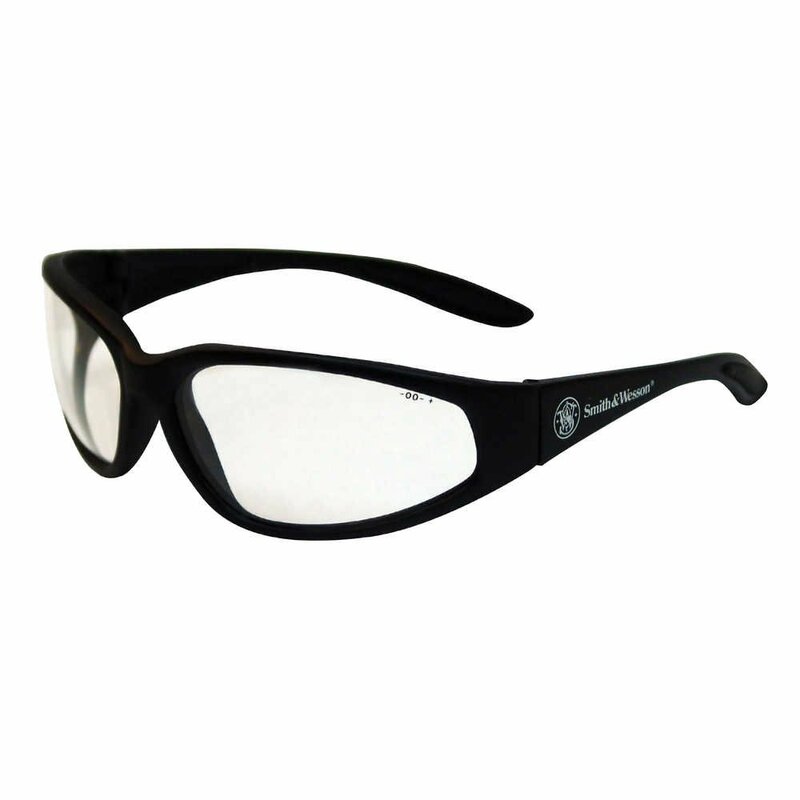 When you need safety eyewear your workers will be happy to wear, trust the respected Smith & Wesson name. The Smith & Wesson 38 Special Safety Glasses are compactly designed and have a variety of lens and frame options (this model features black frames with clear lenses, for maximum light transmission and indoor use). No matter what kind of work environment you have – from indoors to outside – you can find a lens that works for your team. Smith & Wesson 38 Special Glasses have ergonomically designed temples with rubber insert temple tips for a soft, snug and secure fit. They are a great option for all-day comfort. The 8 base curve lenses are hard coated for scratch resistance and longer life. Plus, they offer 99.9% UV (UVA / UVB / UVC) protection and meet the “high impact” level for the ANSI Z87.1+ standards for personal eye protection.